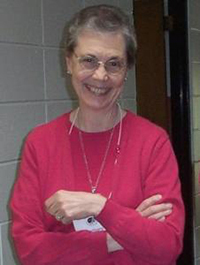 This week’s Lenten reflection for Laetare Sunday is from Sister Barbara Harrington. 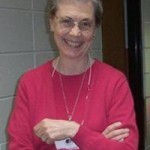 Sr. Barbara lives in her hometown of Buffalo and being Italian, of course she writes about food! Have you ever had to be on a restricted diet? If so, then you know the joy of returning to your favorites and escaping the limitations on something as basic and wonderful as food! In our first reading from Joshua, permission to enjoy the food of Canaan was a sign to the Israelites that their testing was over. 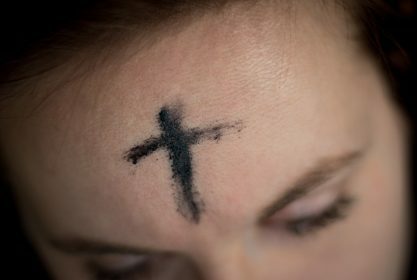 In joyful response, I‘m sure most of them shouted out a facsimile of today’s psalm, “Taste and see the goodness of the Lord!” Some might see this responsorial as an invitation to adventure, “taste and see” saying, ‘go ahead, try it!’ Something new is often a bit scary. The psalm assures us that in this case, if we taste, we will be delivered from all our fears. Our Gospel reading is the beautiful parable of the Prodigal. the older son, an airing of his frustrations which has potential for a better relationship with his father and brother. Finally, there is a celebration, a feast! Thank you for the meaningful and clarifying metaphor. I especially liked the providential comment on the older son and his father now realizing a new potential to their relationship. For me, that stretches a loving edge to the story. Barbara, you bring out how much we often compare ourselves to another sibling or person with whom we live and/or work. But, God the Father doesn’t deal with comparisons because of the great love which is poured out on each one. You bring out how much we must trust in all difficult situations. These have been wonderful. I’ve loved reading them! This one prompt me to remember how rich I felt Richard Rohr’s Daily Meditation was for the week of March 3 – March 8, 2019 called “The Is My Body” . The theme was that “wherever the material and the spiritual coincide, we have the Christ” Barbara seems to have picked up a similar thought: food can bring us to the entire world’s presence of God.